Just four days ago – on Thursday October 11 – an anniversary passed quietly that deserved to be shouted from the rooftop of the new stadium dominating the N17 skyline. 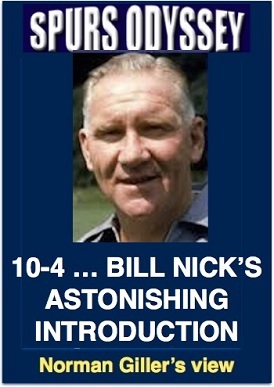 It was sixty years to the day that Bill Nicholson launched his career as Tottenham’s greatest manager with an extraordinary 10-4 victory over Everton at the old (always much-loved) White Hart Lane. · See Norman Giller's article in full. · See the current injury list for all Premier League Teams! · Every Spurs Statistic you could ever need! 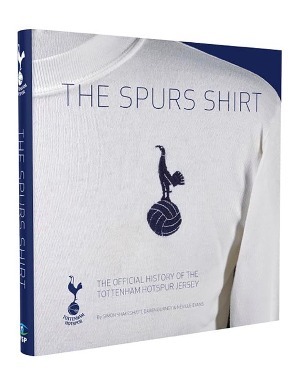 · Oh When The Spurs - Fantastic Spurs Nostalgia Site! · Footy Pubs - Where to watch the game throughout the world! · Soccer Bars - Where to watch the game throughout the world! Search Spurs Odyssey &/or The Web!